Garvan Cummins “The Greenway Man” provides services such as bike hire, greenway history tours and water sports from his base at Mahony’s Pub in Durrow Co. Waterford. Garvan has had a long involvement in campaigning for The Waterford Greenway and can provide visitors with information and insights that can not be matched by others. 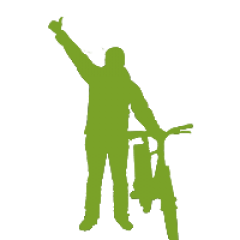 So whether you just need to some bikes or you want a detailed history tour then Garvan is your man for bike hire on Waterford Greenway. 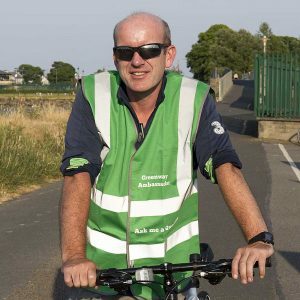 Garvan is passionate about the Waterford Greenway is a long distance walker and a leisure cyclist. He is a regular Camino de Santiago walker and regular on walks such as the St. Declan’s walk from Cashel to Ardmore, The Wicklow Way and Hadrian’s Wall, to nae just a few. He now brings this experience to the Waterford Greenway.